Most noticeably, Evansville’s housing is old. 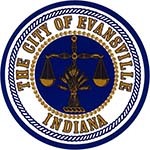 Most of the housing in Evansville was built as temporary housing as result of the economic boom leading up to and as a result of World War II. We can break Evansville’s housing down even more to see the total impact from the economic boom in the early 1900s. This graph breaks down the years housing was built (until 2010) further painting a picture of the age of our homes. Now, if I told you that only 8.6% of homes were abandoned, that probably doesn’t sound like much. 8.6% sounds like a low percentage of abandoned homes and, to me at least, doesn’t really sound like it’s a problem. But when you see the estimated abandoned homes in Evansville compared to the surrounding markets, it tells a different story. This estimate includes vacant housing that is not for rent, rented, for sale, sold, for seasonal/recreational/occasional use, or for migrant workers. This information is all found here and is based off census data and area community surveys. This data tell us a lot about the history of Evansville. At one point, Evansville was booming with productivity. New industry meant more people moving to the city and homes couldn’t be built fast enough. But what do these graphs say about the future? What kind of home are we leaving behind, are we leaving this city better than we found it? *Note, data on this website is from the most recent Census Survey which was performed in 2016. Newer PostWhat Does Home Ownership Look Like In Evansville?